This video is a short welcome video to Ms. Amanda's Math Class! In this video I will teach how to add two-digit numbers with and without regrouping. In this video I will give step by step directions for answering the lesson worksheet problems. In this video I will teach how to subtract two-digit numbers with and without borrowing. In this video I will teach how to subtract two-digit numbers across zeros. In this video I will teach how to solve addition word problems. In this video I will teach how to solve subtraction word problems. In this video I will teach the basic understanding of multiplication. In this video I will teach the basic understanding of division. In this video I will teach the the understanding of division with remainders. In this video I will teach the basic understanding of fractions. In this video I will further our understanding of fractions. In this video I will teach the foundations of place value and how that relates to numbers that we work with in everyday math. In this video I will teach the more about place values and expanded form. This test will cover all the information covered in Sections 1-4. It is multiple choice test and has 30 questions. If you competed all the lessons and worksheets you should be ready to take the unit test! After you have completed the test a parent can grade it with the answer key. Answer keys will be the in the "resources" section for parents. You should go back over your test and see what questions you got wrong and how you can fix them. This makes you a better learner! Remember tests aren't here to tell us how smart we are, they are here to tell us what we have learned and what math concepts we still need to work on! I'm proud of your hard work, keep it up! In this video I will teach how to measure with inches and half inches. In this video I will teach how to measure with centimeters and millimeters. In this video I will teach how draw a line to an exact measurement. In this video I will teach how estimate to the nearest inch and centimeter. In this video I will teach how to read temperature on a Fahrenheit thermometer. In this video I will teach how to read temperature on a Celsius thermometer. In this video I will teach how compare Fahrenheit and Celcius. We will also talk about what these temperatures feel like. In this video I will teach how to draw a temperature on a thermometer. I will also teach how to measure from Fahrenheit to Celsius and Celsius to Fahrenheit. In this video I will teach how to measure mass in volume using the standard and metric system. In this lesson I will teach how to measure capacity using the standard and metric system. In this video I will teach different strategies to count US dollars and coins. In this lesson I will teach how to answer different money story problems. This test will cover all the information covered in Sections 5-8. It has 18 questions. If you competed all the lessons and worksheets you should be ready to take the unit test! In this video I will teach how to tell time to the minute on an analog clock. In this lesson I will teach time vocabulary and how to use it in common language. In this lesson I will teach the basics of data collection and how to organize and display it into a pie graph. In this lesson I will teach how to organize data into a pictograph. In this lesson I will teach how to organize data into a bar graph. In this video I will teach what probability is and how to relate it to real life situations. In this lesson I will teach about 2-D shapes and types of polygons. In this lesson I will teach how to find the area of a shape. In this lesson I will teach how to measure perimeter. In this lesson I will teach common 3D shapes and describe their different properties. In this lesson I will teach what symmetry is and how to draw a line of symmetry for different shapes. In this lesson I will teach basic number patterns and how to solve a sequence of numbers. In this lesson I will teach more complex number patterns and how to solve a sequence of numbers with multiple steps. This test will cover all the information covered in Sections 9-12. It has 30 questions. If you competed all the lessons and worksheets you should be ready to take the unit test! This lesson provides four different math games to practice your addition, subtraction, multiplication and division facts! You can use these games any times to help you memorize your basic math facts! This second grade math module is a comprehensive unit that teaches both problem solving and computation skills. Lesson topics are drawn from Common Core State Standards as well as the integration of the International Baccalaureate (IB) Curriculum. 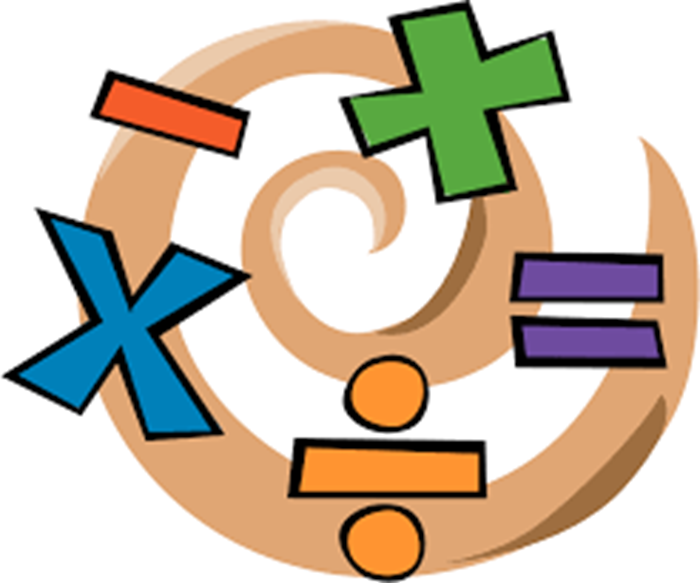 Each lesson includes a review of basic math skills, implementation of new concepts, and skills based problems. This module is an easy to follow, step-by-step guide to learning new concepts and practicing skills at your student’s individual pace! Students will grow in their understanding of math concepts and gain confidence in their ability to solve a variety of problems. They will make connections between course content and real life situations. Students will have opportunities to take what they’ve learned and apply it to their everyday life, making learning concrete. This understanding is where true learning takes place. This video course is primarily intended for second grade students ranging from 7-9 years old. It is suggested that students have completed a 1st grade math course before beginning this module. It can function either as a primary or supplemental curriculum. This course can also be used for third grade students who need reinforcement of second grade concepts. Measure and estimate temperature using a thermometer. Telling time on an analog clock to the minute. Drawing times on an analog clock. Interests: Painting, photography, running, yoga, traveling, and spending time with friends and family! Skills: Experience with ESL, ELL, and special education students.Experience with International Baccalaureate Curriculum. Issues I care about: I care about students being self-motivated learners and inquiry based thinkers. Hi! I have been working in education for the past 5 years both in the United States and Internationally. I have experience as a classroom teacher, teachers assistant, one-on-one aid and Math and Reading Special Education Teacher. I am passionate about students seeing the value in their learning and making connections from the classroom to their everyday life. I believe each student has the ability and potential to succeed in every subject area and feel confident in that ability. I would be honored with the opportunity to teach your child! Out of the classroom I am a wife and mom of a one year old daughter. We currently live in Southwest Michigan and love living by the beach and our family. This short video is an introduction into the course.The attached documents will include information for navigating course content, a suggested schedule for pacing, and some special parent tips! You will find additional worksheets and answer keys here for students to further their understanding and practice their skills from the lesson. You will find additional worksheets and tools for students to further their understanding and practice their skills from the lesson. You will find Unit 1, Unit 2, and Unit 3 Test Answer Keys here. Some answers will vary and need to be checked by an adult.